Acne is probably the most common skin condition worldwide. In spite of the fact that acne is self-limited as a disease, it is not recommended to wait and watch without proper treatment. Apart from the disfigurement and the scarring it may produce, acne is also responsible for low self-confidence and may lead to depression. Therefore, acne should be treated properly and in time! 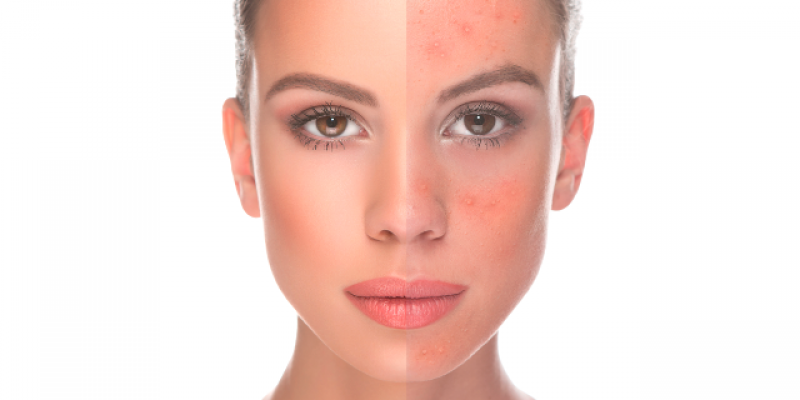 For detailed information about acne clinical presentation click here. Treatment plans for acne may include either topical medications (creams), either systemic medications (pills) or a combination of both, depending on the severity of acne and other factors such as age, gender, etc. There is no one treatment that is right for everyone, nor is any specific treatment effective for a single person throughout every stage of the disease. In every case, the best approach is an individualized treatment plan. Acne medication should be accompanied by proper skin care with specific dermaceutical products in order to obtain the best results. Never pick or squeeze acne lesions in order to get rid of them, as these manipulations get acne worse and can cause scars! There are medical modalities of getting faster results such as comedo-extraction, chemical peels, that may be applied in combination with certain acne medications under certain circumstances. Acne is highly controllable. Proper treatment can prevent scars and help you feel and look your best. Seeing your Dermatologist helps ensure that you are getting exceptional acne care in order to achieve the best results possible!